Dempo Sports Club scored a stunning 3-0 victory over Churchill Brothers to clinch the GFA U-18 League with a game to spare. 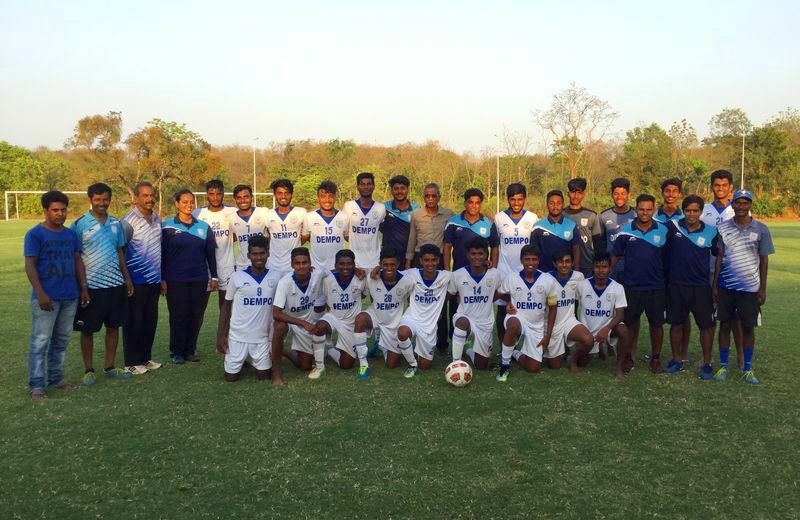 With this win Dempo have clinched their second youth level title this season after beating Salgaocar 4-0 last week to seal the U-14 title. In a match played at the Ella Ground in Old Goa, Dempo SC produced some scintillating possession football and attacking play to leave Churchill Brothers in a daze. After dominating play right from the whistle, Dempo SC took the lead through Altroy Rodrigues in the 29th minute after tapping in a brilliant cross from Aaron Alvares. Just four minutes later Dempo doubled their lead after another brilliant through ball from Aaron Alvares found Larryl Mascarenhas who beat a couple of defenders, rounded off the goalkeeper and slotted the ball home. Dempo put the result beyond doubt just after the hour mark after another brilliant cross from the right – this time from Kimron Fernandes found an unmarked Larryl Mascarenhas who scored his second goal of the evening.